Henry John Temple, son of the Irish peer, Viscount Palmerston, was born at Broadlands, Hampshire, on 29th October, 1784. Educated at Harrow School and St. John's College, Cambridge, he succeeded to the Irish peerage on his father's death on 16th April 1802. At the age of twenty-two Palmerston, a Tory, paid £1,500 to became the MP for Horsham. The legality of the election was challenged and the following year Sir Leonard Holmes, arranged for Palmerston to become MP for his pocket borough of Newtown on the Isle of Wight (in 1811 he became MP for Cambridge University). One of the conditions set by Holmes was that Palmerston was not allowed, even during election campaigns, to visit Newtown. Later that year, Palmerston's guardian, Lord Malmesbury, arranged for him to become appointed as lord of the admiralty in the government of the Duke of Portland. In October 1809, the new Prime Minister, Spencer Perceval, offered Palmerston the post of Chancellor of the Exchequer. As he was only twenty-five years old, Palmerston thought he was too young for this high office and instead accepted the post of Secretary at War. Lord Palmerston held this post for twenty years serving five Prime Ministers, Lord Liverpool, George Canning, Lord Goderich and the Duke of Wellington. Although he had always been a member of Tory administrations, Lord Palmerston accepted the offer to join Lord Grey and his Whig government in 1830. Palmerston became Secretary of State for Foreign Affairs, and for the next two years was preoccupied with persuading France and Holland to accept that independence of Belgium. One of the condition of being a member of Lord Grey's government was to support the Whig policy of parliamentary reform. Although Palmerston had previously been opposed to parliamentary reform, he agreed to support Grey's proposed measures. The decision upset his electors at Cambridge University and he was forced to move to Bletchley and when this seat disappeared as a result of the 1832 Reform Act he became the MP for South Hampshire. Between 1832 and 1852 Lord Palmerston served both Whig (Lord Melbourne, Lord John Russell) and Tory (Sir Robert Peel) governments. Although Palmerston had the support of most of Parliament, he was strongly disliked by Queen Victoria. Palmerston believed the main objective of the government's foreign policy should be to increase Britain's power in the world. This sometimes involved adopting policies that embarrassed and weakened foreign governments. Victoria and her husband, Prince Albert, on the other hand, believed that the British government should do what it could to help preserve European royal families against revolutionary groups advocating republicanism. This was very important to Victoria and Albert as they were closely related to several of the European royal families that faced the danger of being overthrown. William Gladstone: "Permit me to explain democracy." Lord Palmerston: "Oh, bother your explanation! You've blown your horse, and you are out of the race." In the summer of 1850, Queen Victoria asked Lord John Russell to dismiss Palmerston. Russell told the queen he was unable to do this because Palmerston was very popular in the House of Commons. 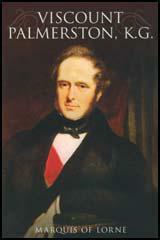 However, in December 1851, Palmerston congratulated Louis Napoleon Bonaparte on his coup in France. This action upset Russell and other radical members of the Whig party and this time he accepted Victoria's advice and sacked Palmerston. Six weeks later Palmerston took revenge by helping to bring down Lord John Russell's government. In 1855 Lord Palmerston, aged seventy, became Prime Minister. Queen Victoria found it difficult to work with him but their relationship gradually improved. She later wrote in her journal: "We had, God knows! terrible trouble with him about Foreign Affairs. Still, as Prime Minister he managed affairs at home well, and behaved to me well. But I never liked him." Palmerston first period as Prime Minister lasted for three years. His second period started in 1859 when he was seventy-five years old. The main foreign events that he had to deal with during this period included the American Civil War and Napoleon III's war with Austria. The main domestic issue involved the continuing debate over parliamentary reform. Palmerston was totally opposed to any extension of the franchise and during 1864 came into conflict with William Gladstone, his Chancellor of the Exchequer, who was a strong supporter of reform. Palmerston won the argument and Gladstone had to wait until he became Prime Minister before he could introduce these measures. Parliament was dissolved on 6th July 1865. Although nearly eighty-one years old, Palmerston refused to retire and once again was elected to Parliament. However, before he could take up office he became very ill and was forced to stay at his estate at Brocket Hall, Hertfordshire. No doubt many working men are as fit to vote as many of the ten pounders, but if we open the door to the working class the number who may come in may be excessive, and may swamp the classes above them. The result would arise not merely from the number let in, but also from the fact that the influx discourages the classes above them from voting at all; and then these working men are unfortunately under the control of trade unions, which are directed by a small number of directing agitators. I read your speech and I must frankly say, with much regret, there is little in it that I can agree with. You lay down broadly the doctrine of universal suffrage which I can never accept. I deny that every sane and not disqualified man has a moral right to vote. What every man and woman too have a right to, is to be well governed and under just laws, and they who propose a change ought to show that the present organisation does not accomplish those objects. Your speech may win Lancashire for you, though that is doubtful but I fear it will tend to lose England for you. A member of the government when he takes office necessarily divests himself of the perfect freedom of individual action which belongs to a private and independent member of parliament and the reason is this, that what a member of the government does and says upon public matters must to a certain degree commit his colleagues. If any of them follow his example and express publicly, opposite opinions, which in particular cases they might feel obliged to do, differences of opinion between members of the same government are unnecessarily brought out into prominence and the strength of the government is thereby impaired.